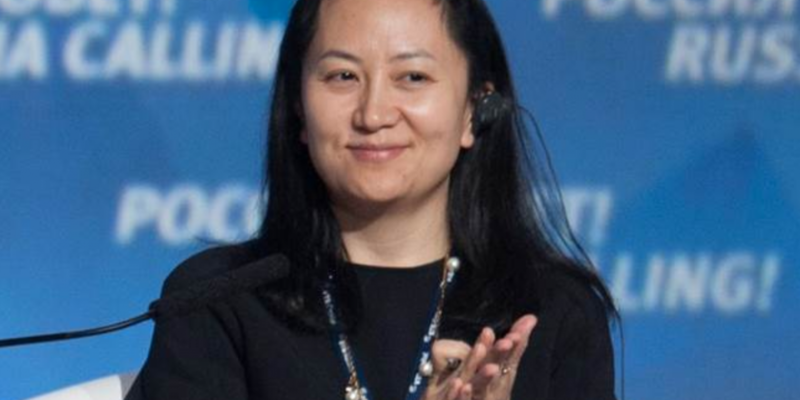 Canada’s Globe and Mail newspaper reported yesterday that Meng Wanzhou (孟晚舟), the daughter of the founder of Chinese telecoms giant Huawei, Ren Zhengfei (任正非), has been arrested in Canada and faces extradition to the United States on suspicion of violating U.S. trade sanctions on Iran. Meng is also the deputy chair of Huawei, which in recent months has faced an international backlash over concerns the company is linked to the Chinese state and poses a security risk. 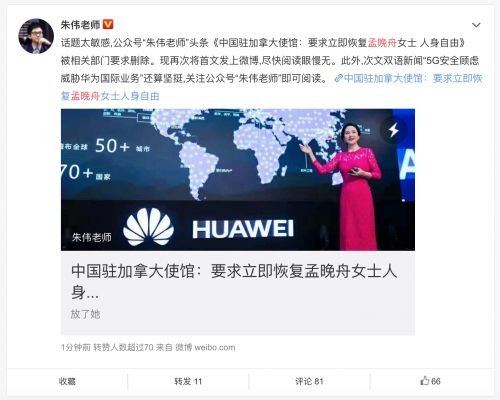 The China Daily, published by the Information Office of the State Council, released an article in Chinese earlier today quoting the official release from Huawei saying that Meng has done nothing wrong and they are confident there will be a fair result. 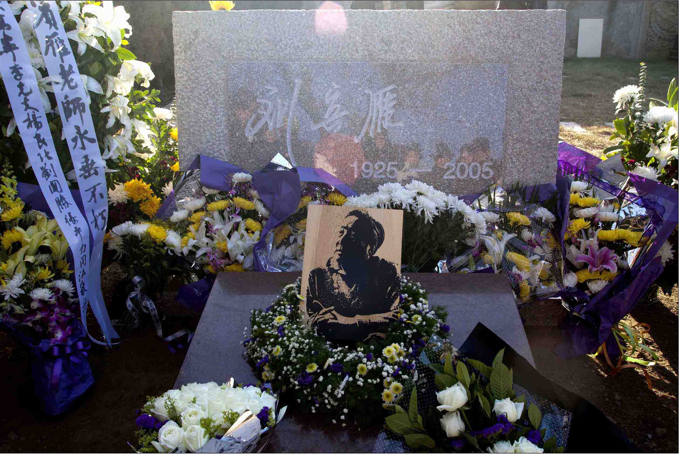 There are also stories on both on the Chinese and English sides of Caixin. 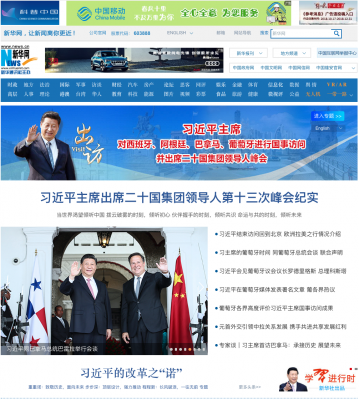 Interestingly, though, while the English report is prominent on the Caixin website, the Chinese report was pushed lower down at around 4PM Beijing time, emphasising in the headline the fierce response from the Chinese Embassy in Canada — and two hours later that story was not visible at all on the Chinese homepage. The English-language page at Caixin gives the Meng Wanzhou arrest story central play, and by 5PM Beijing time also pairs it with the story of Huawei’s troubles in the UK. 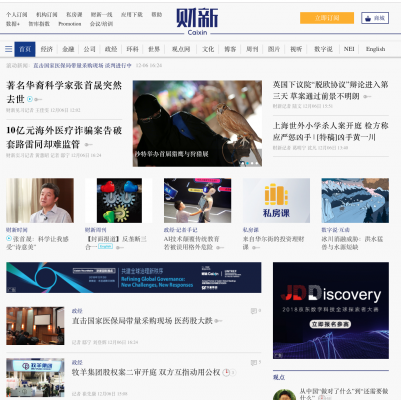 The Chinese homepage of Caixin at around 4PM Beijing time on December 6 shows the Huawei story of the arrest of Meng Wanzhou way down below other featured articles. 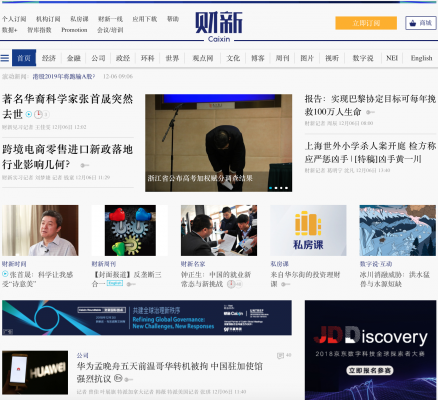 By 5PM Beijing time on December 6, no stories about Huawei or its CFO, Meng Wanzhou, are visible on the Chinese-language Caixin homepage. But lack of information on this breaking story, and relative silence from traditional and state-run media, cannot forestall the conversation in China. There has been a flurry of chatter and speculation on Weibo and WeChat, although of course that conversation is in a state of constant emergence and disappearance. Here, courtesy of the Weiboscope, are a few of the more recent Weibo posts that have been removed, most dealing directly with the original report from the Globe and Mail. A Weibo search for “Meng Wanzhou” directs readers to two posts from state media, one from CCTV Online and the other from the Global Times. 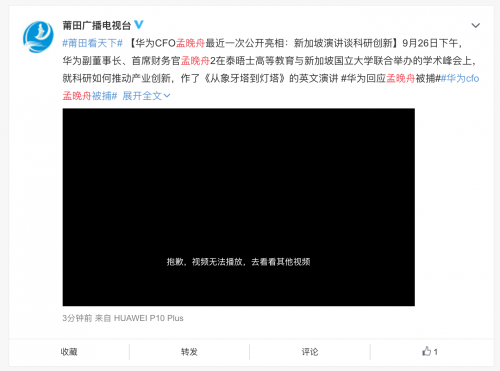 The CCTV post is a short video relaying the response from China’s Foreign Ministry calling on Canada and the U.S. to immediate release Meng and to “protect the legitimate rights of the person involved.” The Global Times post similarly focusses on what at present seems right now to be the core message of the leadership: Meng must be immediately released. This topic is so sensitive. The headline article on my WeChat public account “Teacher Zhu Wei” (朱伟老师), “Chinese Embassy in Canada: We Demand the Immediate Return of Meng Wanzhou’s Freedom” was deleted by the relevant departments. Right now I’m reposting it on Weibo, so read it really quickly before it’s gone. 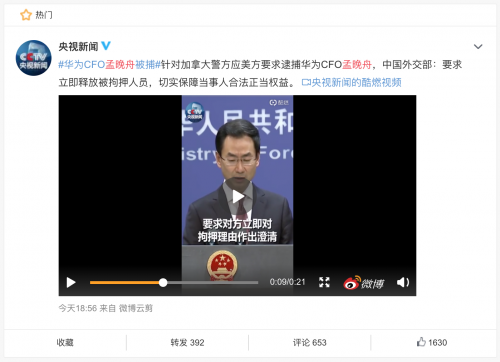 In a Weibo post, entrepreneur Zhu Wei tells readers to quickly read his post already deleted from the WeChat platform — before it once again disappears. 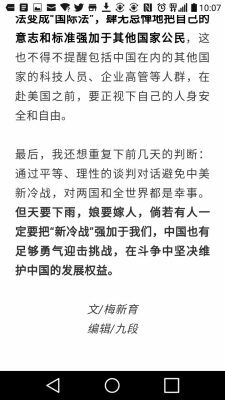 The article in question by Zhu Wei, still available on Weibo as of 8:46PM Beijing time, offered a rundown of the official statements from the foreign ministry and from Huawei, and then included a paragraph by paragraph translation of the original report from the Globe and Mail. Finally, I want to emphasise again the assessment I had a few days ago: through equal and rational dialogue a new cold war between China and the U.S. can be avoided, and this would be a great thing for both countries and for the world. But the sky rains when it wants to, and girls marry when the time comes, and if certain people insist on foisting a ‘new cold war’ upon us, China has sufficient courage to meet this challenge, upholding China’s right to development in the midst of this struggle.